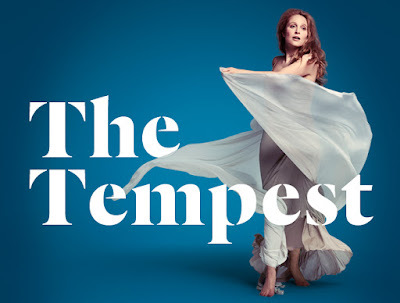 Bell Shakespeare presents THE TEMPEST, by William Shakespeare, in the Playhouse Theatre, at the Sydney Opera House, 19 August -18 September, 2015. This production of Shakespeare's THE TEMPEST (1611) from Bell Shakespeare, Directed by John Bell, is Mr Bell's farewell production for the company he founded twenty-five years ago. Mr Bell has played the role of Prospero three times in his career and it is interesting to read in his Director's Notes, in the program, his debunking of the notion that THE TEMPEST was Shakespeare's last play and that it is a valediction, with Prospero as a self-portrait of Shakespeare bidding farewell to the stage - and if one does read a parallel of a pang of regret in Mr Bell's choosing of THE TEMPEST as his farewell, then it all was a subconscious urge, he says. One has seen productions of THE TEMPEST where it is Prospero that is at its centre, or where in a revisionist approach, when viewed as an indictment of colonialism, Caliban has been read as its true hero. In this production, it is Ariel, Shakespeare's airy spirit, that becomes the pivot and centre of the play. Matthew Backer 'dressed' in the mode of a bewitching androgynous figure, further compounds the other-worldliness imagery of this 'Spirit, fine spirit...', with a deliberate and delicate adoption of a physical characterisation that gently impresses one, that we are watching a light-footed wonder - one that seems to have him hovering above the realities of the ground - and adds, with the tension of the 'instrument', his body, always angled forward, a visual offer of time-in-the-present as a fleet-footed future - a miraculous Superposition State! (check out, BLOG: SUPERPOSITION). That this actor/spirit then, can sing, too, in a voice of exquisite delicacy, caps the rightness of his casting and the centricity of his performance. Mr Backer makes Ariel a wonder to enjoy and believe in. At the conclusion of this production one has being guided through the process of Ariel's estate, unmistakably. To begin Ariel has been subject to Sycorax and imprisoned and powerless. But when freed by Prospero, who has merely used his own powers for means to a base revenge against the Kingdom of Naples - an 'eye for an eye' banality, by conjuring a wrecking storm; and by producing the wonders of the banquet and the charmed swords like any common conjurer for the slight purpose of bewilderment, Ariel is sought. For the higher the nature of the miracle, as in the falling in love of Ferdinand and Miranda, it is he who is invited to improvise the miracle. Prospero has willed this love but the bringing of it into being is plainly Ariel's work - he has performed 'material wonders' and when the initiative is left to Ariel's device, he goes beyond them - to the delight of his master - who sees that it is Ariel's accomplishment, nothing of his power at all. I'll set thee free for this! Him that you termed, sir, "the good old lord, Gonzalo." Passion as they, be kindlier mov'd than thou art? Not a frown further. Go release them, Ariel. They rightly do inherit heaven's graces. Mr Backer has, from his first appearance, carried Ariel's yearning for his freedom from the service of Prospero with such power and mounting angst, that we watch with gathering empathetic givings for it to be done after every achievement of his Master's demands, and it is with relieved joy, for us, when it is at last, finally, given :"Be free, and fare thee well!" The joy, the accepting and wearing of the longed for freedom from the charmed 'chains' of bound-duty is as liberty bearing to our sprit, in the audience, as it is to the good and faithful patient servant Ariel, created, embodied, by Mr Backer. There has been a shared intense arc of journey in this production of THE TEMPEST and it has been Ariel's: Mr Backer's, and so, ours. 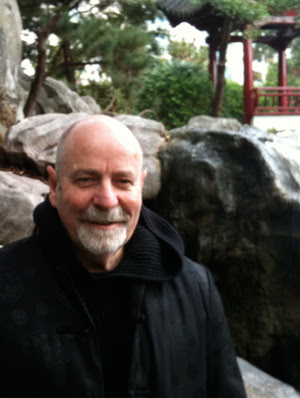 Brian Lipson, playing Prospero, is an actor of intelligence and instinct, but lacks, on this occasion, the vocal capacity to easily persuade us to listen to him - if at all - and at best this performance gives most of us only a gist of what has been written - most of the language poetics obfuscated. Similarly, with Eloise Winestock, as his daughter, Miranda - both having speech/vocal blurrings, and, so, their lack of oral/aural clarity defocuses their contribution and shifts them, unhappily, from the centre of the play, no matter their textual weight or theatrical intuition. One is forced, especially with Mr Lipson, to work too hard (exhaustingly) to comprehend the Shakespearean text and its poetry, and it is sharply brought into understanding why this is so when both these actors are in action with Felix Gentle's Ferdinand, for his speech/vocal clarify is so easeful, beautiful and effortlessly comprehensible, that the sound contrast between them all makes the problem that one has had to enter sympathetically into the worlds of Prospero and Miranda, palpably obvious. The vocal casting was flawed, for me. In contrast further, the cleverness and clarity of Hazem Shammas and Arky Michael - two of Sydney's most interesting and underestimated performers - conquering, all, verbally, vocally and physically, the difficult roles of the drunken clowns, Stephano and Trinculo, were a gift of relief for the audience, while, generally, the offers of Robert Alexander, Maeliosa Stafford and Damien Strouthos were welcome, too. One does wish the Bell Shakespeare could 'field' one or two more actors so that the doubling of roles were not so necessary. 9 actors does not seem, comfortably, enough, for the play's - this production's - fluency and clarity. 11, or the Shakespeare standard of 12 (or more), would seem more desirable. Julie Lynch as Designer, with her curtained, billowing blue tinted backdrop stagings and detail of costume, is beautifully supported with the flexible Lighting Design of Damien Cooper, while the composition of Alan John is apt, and the Sound Design, by Nate Edmondson, on the other hand overdone, with its tendency to over signal the atmospheric changes of the narrative. P.S. My first meeting with this story was at the age of 8, when at the Kings picture show, on Clovelly Rd (now an ex-serviceman's club), my dad took me to see THE FORBIDDEN PLANET (1956). Not that I could care, or detect, at that age, but William Shakespeare's THE TEMPEST had been used as one of the source materials for the story: Professor Moribus (Walter Pidgeon), as Prospero; Altaria (Anne Francis), as Miranda; J.J. Adam (Leslie Neilsen), as Ferdinand; Robby The Robot as Ariel; Sycorax, as monster in control, Krell and Caliban as the invisible creature of the ID. I just remember being scared out of my wits by the tiger - yes, the tiger! This Science Fiction MGM classic is rated in the Top Ten of that Genre: Oh, Brave New World, indeed.